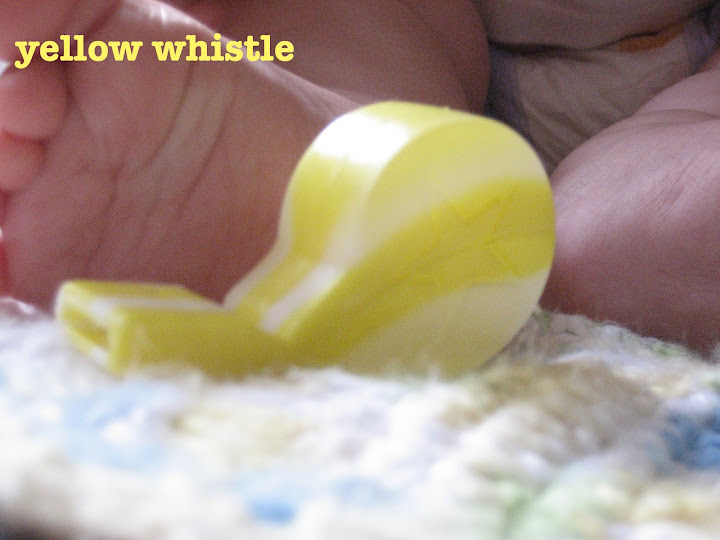 yellow whistle: my secret is out! i'm going to spray paint the plaque thing ummmm...yellow, of course. with this cool flannel i will probably make a baby blanket and burp clothes or jams for the little fella. on the up side, when i was driving home from my kinda disappointing thrift store excursion, i notice that there was going to be a neighborhood garage sale real close to my neighborhood. i thought i would try it and maybe get lucky there. it was pretty chaotic with people and cars, but i managed to score a few goodies. i scored a complete playmobil pirate ship set for $2. (there are more pieces than pictured, but the little fella was playing with them) a cookie tin (.25) and a (yellow) vintage ceramic bowl (.50). not bad for $2.75. even though i scored these goods, i think i will stick to the few thrift stores that i know. even if they aren't my secret anymore. who knows maybe i'll see ya there! I love that flannel print. So unique. Love the detail in it! Great find. I swear I didnt say anything! :) Let's go to the Salvation on Friday!!!! So fun...between thrifting and Pinterest I dont know what I am going to do with myself!!! !